Improve Your Skills. Transcribe Better, Earn More. 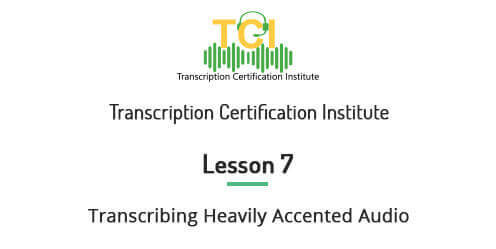 The TCI certificate is recognized by most transcription industry leaders. Synonymous with quality – applicants carrying the TCI seal have an edge over their peers. An Internship with industry leaders ensures exposure to real-world projects and experience. Learn the proper writing standards such as punctuation rules, grammar rules, and sentence structure rules. 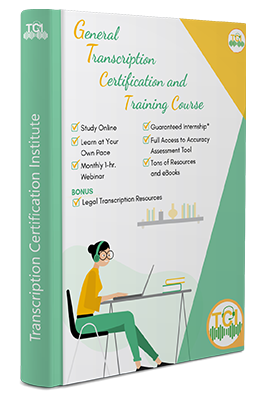 Learn how to deliver top-notch work so that you are preferred over other transcriptionists. Work from home - no commuting, no dressing up! Enjoy a flexible schedule, work late nights if you would like! Select your workload- no need to take leave or request time off! Learn how to ensure confidentiality. Learn how to make judgment calls when audio is not clear. Learn how to transcribe multi-speaker files with ease. Get insider tips and stand out from the competition.